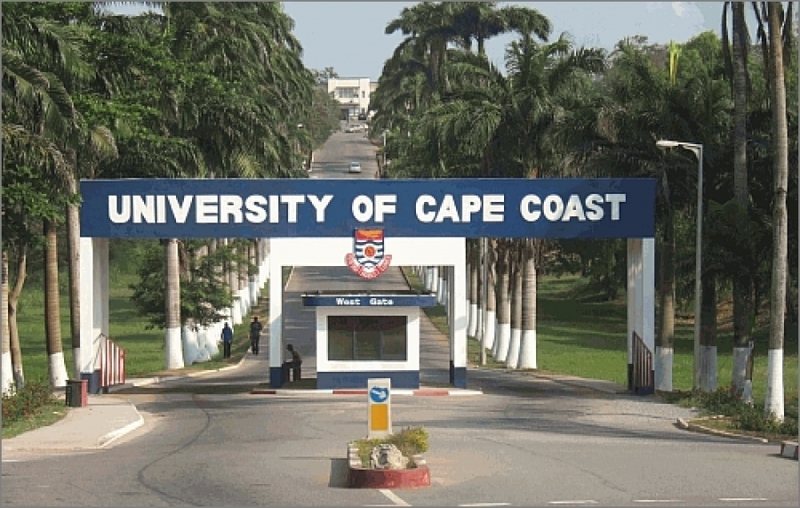 The University of Cape Coast has signed a Memorandum of Understanding (MoU) with Final Vision (FvTech), a technology solutions company based in Canada, to provide lecturers and students access to educational materials from Database for Development & Excellence (AIDDE) e-library. The Vice-Chancellor Prof. Joseph Ghartey Ampiah, signed on behalf of the University whiles the Chief Executive Officer of FvTech, Dr. Bazir Serushago, signed for his organisation. Speaking at the signing ceremony, Prof. Ampiah said there were several limitations with the use of text books and other printed materials as compared to the electronic versions. He noted that the collaboration between UCC and FvTech would afford lecturers and students the opportunity to get access to a collection of educational materials from renowned academics, organisations and publishers all over the world. “What excites me the most is that our lecturers who have published text books, research articles can put them on the platform so that they can receive royalties based on the number of users of their materials,” he indicated. Prof. Ampiah said his vision was to digitise the University and, therefore, the MoU was a step in the right direction. “The electronic library will also help with our online distance programmes since most of the students will not be on campus to have physical access to the Sam Jonah Library” he noted. On his part, Dr. Serushago, said his team developed AIDDE e-library and the e-Teaching Technology for the digitisation and sharing of Educational resources from African universities. He noted that through the Africa Innovation Challenges Platform (AICP), universities and industries would share educational materials including thesis, academic textbooks, research materials, journals, research articles and other publications as well as industry manuals and articles in Africa and the rest of the world. Dr. Serushago said AIDDE Platform currently has over 50, 000 educational resources including, new academic textbooks, publication, journal, articles from publishers and partners from Europe, Africa Renowned Professors, and North America. He added that “textbooks from our publishers and the partners are among the biggest e-book publishers in the world”. The Pro-Vice-Chancellor, Prof. George K. T. Oduro said Dr. Serushago could be an asset to the School of Medical Sciences considering his specialisation in Allergy and Immunology. He said the University was aware that Dr. Serushago had won a grant to undertake a solar energy project in Takoradi and indicated that “UCC is interested in partnering you especially in the research component of the project. In this way we can train students in this area”. Present at the meeting were the Registrar, Mr. John Kofi Nyan and Mr. Anthony Ardiabah of the Directorate of Information and Communication Technology Services.